Happy 2018! If you are like me you woke up on January 1st with the itch to organize ALL THE THINGS. 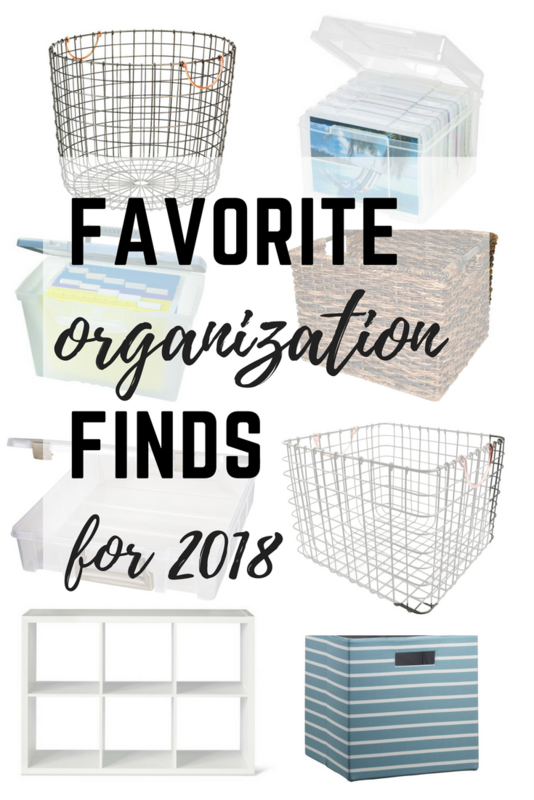 I’ve been on the hunt for affordable, stylish, and useful organization items and today I want to share some of my favorite finds with you! 1. 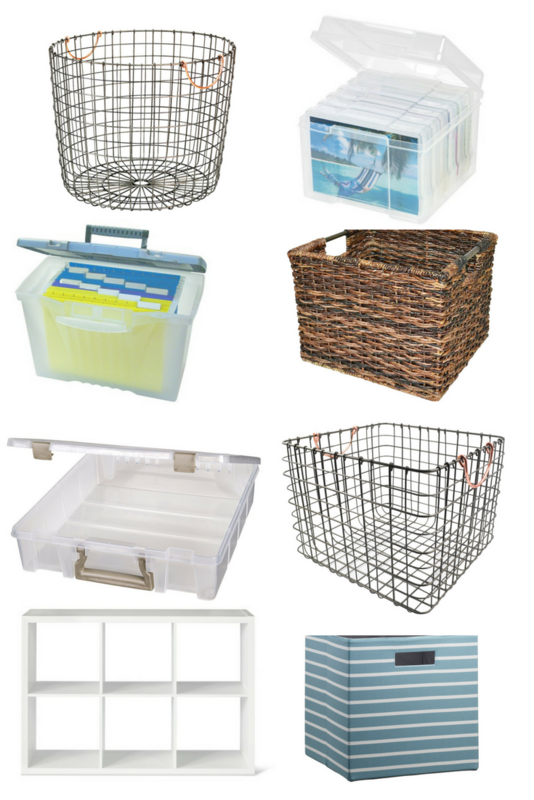 Wire Basket. I have this basket in Belle’s room to hold some of her stuffed animals and it’s one of my favorite things! I love the copper handles so much! 2. 5×7 Photo Storage. This is hands down my favorite find on this list. I bought these a year and a half ago and they are LIFE CHANGING. I was so tired of having to go through thousands of printed photos searching for a certain one I wanted to frame. This allows you to organized your photos however you want….each container has several smaller 5×7 sized boxes in it. I organized my photos by year and by professional photos vs. photos I took. I put my 5x7s and 4x6s all together in the same box. Then store them all in the larger box. It’s seriously amazing, and so easy. If you get anything from this list, get this! I have three of them currently. 3. File Box for each child. One of my goals this year is to create a file box for each kid to organize their school papers. I plan to make a file for each year and use it to store and save my favorite artwork or papers they bring home from school. I can’t wait to get started on this one! 4. Basket Milk Crate. I have these in my mud room and they are stylish, yet functional. I have one in each cubby and they hide all our winter hats and gloves. 5. 12×12 Storage Box. I use this to store my extra printed 8×10 photos, similar to the 5×7 above. 6. Wire Milk Crate. I love this line of baskets, can you tell? This one is perfect for storing kid’s books by their bed or in your living room by your mantle. 7. Cube Book Case. I have two of these now and LOVE them. The price point is great and they are sturdy. We use them to store toys in the playroom and basement. 8. Fabric Cube. These fit perfectly in the book case above and are a stylish way to conceal all the toys!